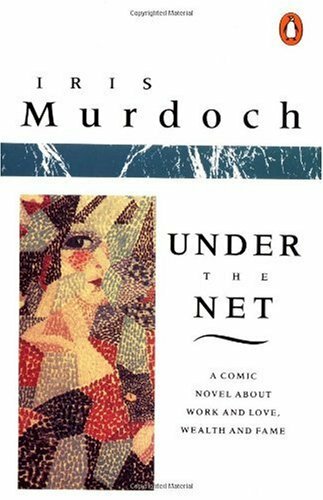 By the time Murdoch’s book was assigned that quarter, I was trying hard not be caught with straw between my teeth as I read about a struggling writer. Iris was female. (She passed away only a few years before I read this novel of hers.) Admirably, her gender didn’t keep her from writing from a man’s perspective. The author created a sparkling account of Jake Donaghue, the penniless artist who networks with an array of magnetic characters throughout London and Paris. Drifting through these quintessential corners of the world, Jake flirts with starlets, crosses bookies, and brainstorms about life with the eccentric. Rekindled love and episodes of the absurd burn and douse the pages; smoldering gems of satire and panache (too much?) reveal themselves en route to Jake's final philosophy on life. From page one, witty phrases made me smile, and this marvelous little world that was constructed never ebbs far from the insightful. Virginia Woolf called novels “life escapes.” She continued, “and perhaps without life nothing else is worth while.” If we didn’t have existence in all its zaniness—all its pitch changes and scars—where would books take us? There would be nothing left to write about and no reason to read. Many people question writers, wondering how someone can have so much to say when most are running on fumes on page eleven. You see there’s no EMPTY line for the imagination when muse is life. 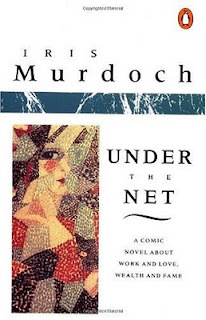 Ms. Murdoch proves that there’s always something worth writing about. And always something worth experiencing, read or lived. So simple. If that glittery and romantic and artistic experience of escape lasts a second or decades after stacking a binding back together, I’d say that’s enough to keep anyone hayseed free by default. And thank you, professor Wiss.